I first heard about Thread Manila at the beginning of the year - right after my Bangkok trip. Keigh had invited me to style a show in Assumption with her and Ava and we decked our models in gorgeous Thread Manila threads. I have also worn a Thread Manila dress to the Absolut Elyx launch in Republiq before, though. I remember Keigh opening her luggage of goodies and seeing them and wanting to buy them right away. I'm Wonder Woman, after all, so anything red-white-and-blue or star-spangled is a must-have for me. I also went through a studded shorts phase at one point, so I bought two studded shorts from Thread Manila. Lol. At the moment, I am currently eyeing this shorts collection of theirs... I want one of every pair! Gah! Next payday, they are so mine. I love how the pieces that they have can be dressed up or down depending on the occasion and the star-spangled top is definitely a great example of it! I love thread Manila because they have this stylish and super beautiful dresses that every girl can wear. I love Thread Manila because their designs are so wearable and just would suit anyone's needs and taste. i love the design, funky and cute. I like how stylish the clothes are and the variety of designs they offer. I love Thread Manila because the clothes are so unique and easy to style. They are so fashionable and classy. Also because of the designs of the clothes that look attractive. I love their designs. So gorgeous. Perfectly fit for my personality. I love Thread manila because it is a shop where you can find all good fashion stuffs you need! 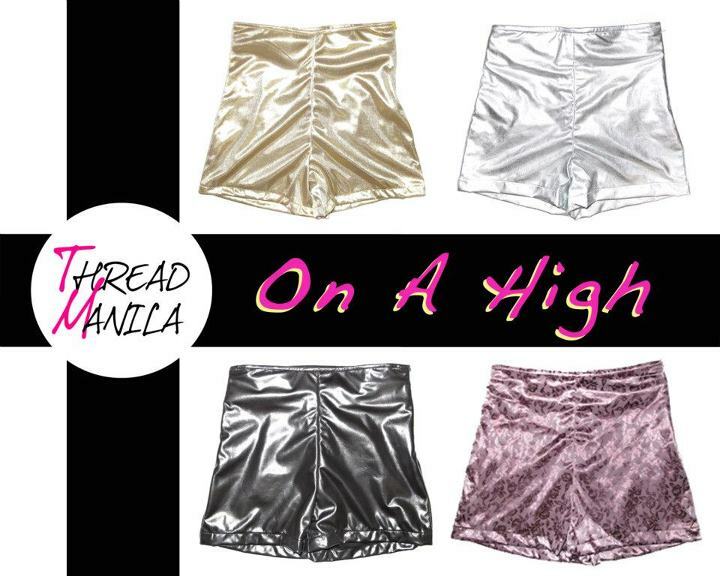 I love Thread Manila because they sell one of a kind fashionable and stylish clothes at a very affordable price. I love Thread Manila because their designs are totally what's in nowadays, it's unique & fashionable. I love the fact that the designs are eyecatching yet if analyzed, they are real simple and basic. The styles aren't too flamboyant neither are they dull. Just the right mix of fun and fancy. I love thread manila because their dresses are so fashionable & comfortable! I love that they sell affordable trendy pieces! :) Love their corsets and studded stuff! I love that they sell clothes that are not only hip and trendy but also comfortable to wear. They have the most amazing brand of clothing ever!!! I love Thread Manila's denim shorts and corsets because they're fashionable yet easy to pair with anything! I love Thread Manila because they are hip and trendy! I love thread manila because of their unique style of clothes. i love their unique designs and they are also trendy. i wanna wear one!! I love thread manila because they have a lot of tips that might learn about.. I love their designs because they're cool, fun and young! It gives me fashion updates! We have designed our website so that you can visit InFocus on the web without identifying yourself or revealing any personal information. I love thread manila because of its avant-garde designs. I love thread manila because they know how to produce eye-popping materials and products that surely caters to the taste of youth, party goers and hippies. I love their style and designs. Simply gorgeous. I love their unique and trendy styles that I can wear everyday! i love thread manila because of their unique and fashionable wears they offer. I love thread manila because they have hippish, trendy and wearable fashion items. i love there way to be the FASHION TREND!! !